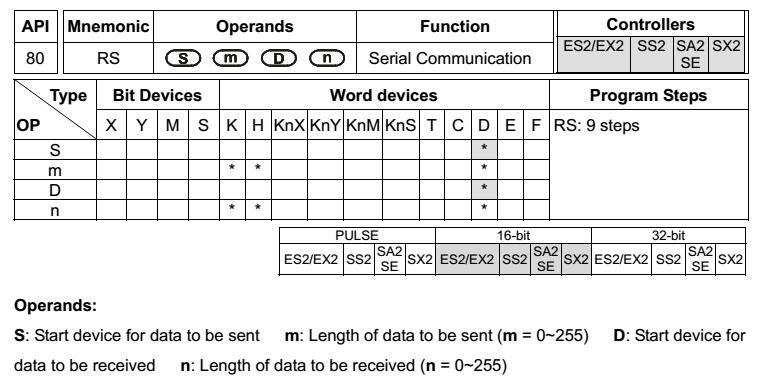 This trick is for the very special application when we want to communicate with unknown device trough serial communication using our Delta PLC. If the slave is Delta, we can always use PLC Link. But what happens when the slave is not delta? In this case we have 2 options. First use our DVP12SCM-SL module with 2 extension ports to help us on the frame configuration. Second the solution we’ll show in this post. Basically all our PLC have by default 2 communication ports RS485 (below) and RS232 (in front). And some have a 3rd RS485 port, usable also to send single frames to other slaves. Once you got the port selected, then you need to set up the port configuration. Use the below table, or our WPLSoft wizard if you are still WPLSoft users. Before COM port configuation, we´ll going to use RS instruction. Basically RS instruction is to configure where I’m going to save the data to be sent and received. But to trigger the frame, you will need to trigger special mark. Once this mark is high, the PLC send the frame configurated in the RS instruction. If on the other way around, our PLC is waiting for some transmision, then we´ll need to wait until the data is recieved. And you will find the info on D1070 – D1085 special registers range. To help you on this special application, download the following Send Frame trough RS232 and Send Frame trough RS485. We also add some section of the manual with the special marks to be aware when you play with this instruction. When you work with comunications, is always advised to have some sniffer, to see what happens on the network. In RS485 case, I recommend to have IFD6500 and any freeware Modbus sniffer. And remeber, with comunications…always patience. I want DELTA PLC model which has 4 port with Ethernet port, can u suggest me? 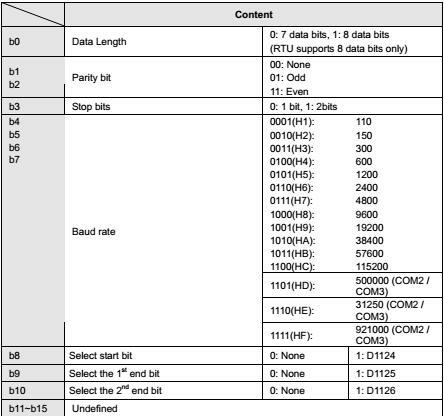 Can anyone Please share the C++ / C# code to read/ Write Memory bits from PC to Delta-PLC through RS-485. Do you have a similiar example but for recieving data? I want to send data fomr a PC software to the PLC, but i’m only able to send from PLC to PC software. Can you please share the code data transfer between PLC to PC? I want to send rotatory encoder output to PC through PLC, can anyone give me a solution?? how to connect delta plc dvp sx2 211 with indusoft v 7.5? 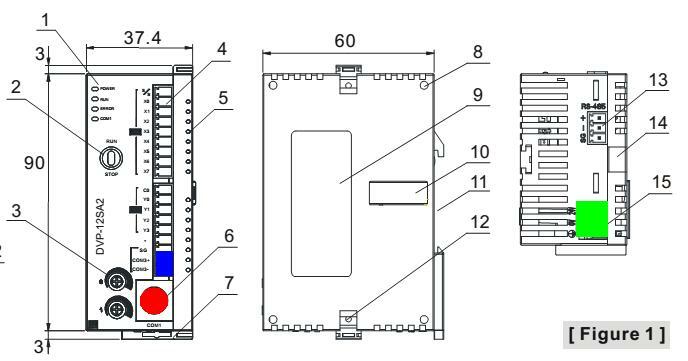 Hi, I programmed a PLC to send by RS232, 4 characters $72 $79 $76 $65 which are stored in locations D100, D101,D102, D103 to a PC. I used the command RS D100 K4 D120 K0 to send the string. The PC reads ?HOLA? instead of HOLA, I mean, not ONLY the four characters I wanted to send BUT also characters “?” or $3F at the beginning and at the end of the frame. What can I do to not sending those $3F characters? I would appreciatte a quick response. Thank you so much. I want to get data from dvp plc ss2 to my pc in rtu/ascii mode. i tried few ways mentioned in manual. any idea/help. ? thanks. Hi, The example link doesn’t work any more. I have tried using your explanation in the text above (With COM1 RS-232), it sends one string successfully and the M1312 resets successfully. But when I try re-trigger the sending again, the sending doesn’t occur and the M1312 does not reset. Please can you help with this. The FTP has been fixed just today, sorry for inconveniences. Is there an example to communicate to non delta rs232 devices using the rs232 on delta hmi. Hi Mike Please can you send the code sample code to communicate to non delta rs232 device suing the rs232 delta HMI.